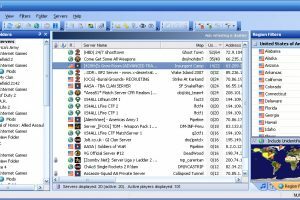 Manage games and game servers"
This application is specifically developed for gamers; it allows connected users on a network to manage the various games they play, discover new servers, as well as administer them. 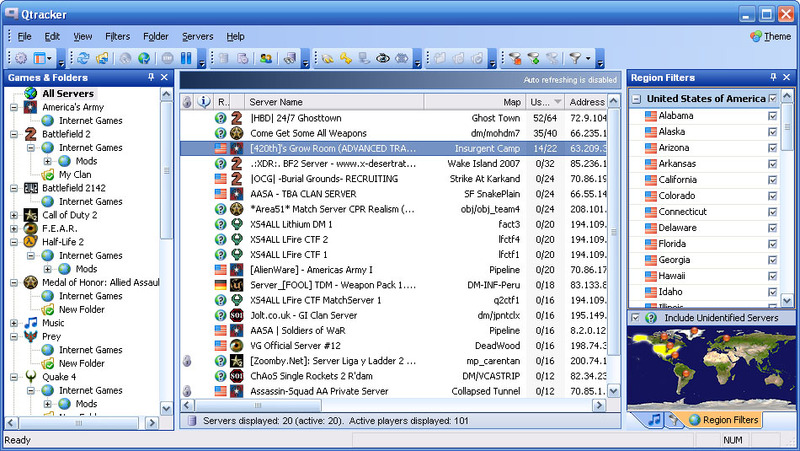 The program also allows for remote management of games by connected users over the internet. You will meet with new gamers, monitor your game progress, and equally gain access to quite a lot of other things. There are quite a bunch of settings to configure on this app; however, the settings are all intuitive and understandable. When you launch the app, there is an option available at the left window pane which allows you to quickly toggle between viewing games and folders or the server map shot. Also, at the bottom area of the app window, you will see all the logged in gamers playing a specific game, as well as view your friends. Furthermore, you can toggle between a variety of options available on the right window side; options to toggle include music filters, game filters, region filters, and history. Both sides of this app’s interface are occupied by useful features, as well as the bottom. Thus, leaving the middle space to be occupied with the list (and full details) of all servers from a game. You’ll also access the menus on the upper part of the app window. QTracker is licensed as freeware for PC or laptop with Windows 32 bit and 64 bit operating system. It is in server tools category and is available to all software users as a free download. Analyze the logs of a ..